Took a trip to the Salton Sea, Ca while on our way back from Palm Springs the other day. The Salton Sea is a shallow, saline, endorheic rift lake located directly on the San Andreas Fault, in California's Imperial and Coachella Valley. We just drove in, and walked down to the "beach" but had to carry Jakey as we heard about all the fish bones that can cut into a dog's paws. It's true what they say- you walk to the beach and think it's sea shells and white sand and really it's crushed up fish bones and scales. Layer upon layer! 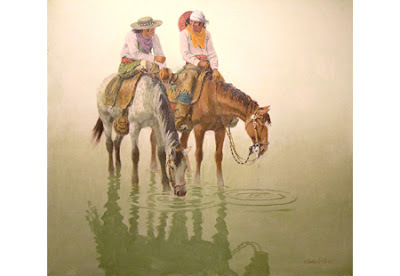 There's a great post here on the Salton Sea that another blogger did as well- very interesting. Managing your portfolio is crucial for any would-be investor. Neglecting it is the quickest way to make sure that your returns are minimal at best. You have to care for and balance your portfolio if it's going to blossom into something greater than the sum of its parts. That's the trick to investing, but it's not one that everybody has a solid grasp on. Check out my guide to successful investing at http://www.oneincomedollar.com/2012/10/5-keys-to-successful-investing/. The world of investment is as cutthroat as they come, with nobody looking out for your best interests but you. Nobody is going to take care of your bottom line for you. It's down to you to make sure that you're getting the best returns for your outlay. Savvy investors are well are of this, but they also have a wealth of experience to guide them. It's not so easy if you're new to moving money around. So, let's dig in and get to the root of how to build a profitable portfolio. Like everything else in life, investment involves a well-detailed plan of attack. First of all, you're going to need to take into account how much money you have to play around with. That is perhaps the most important factor, as it'll determine what your options are. 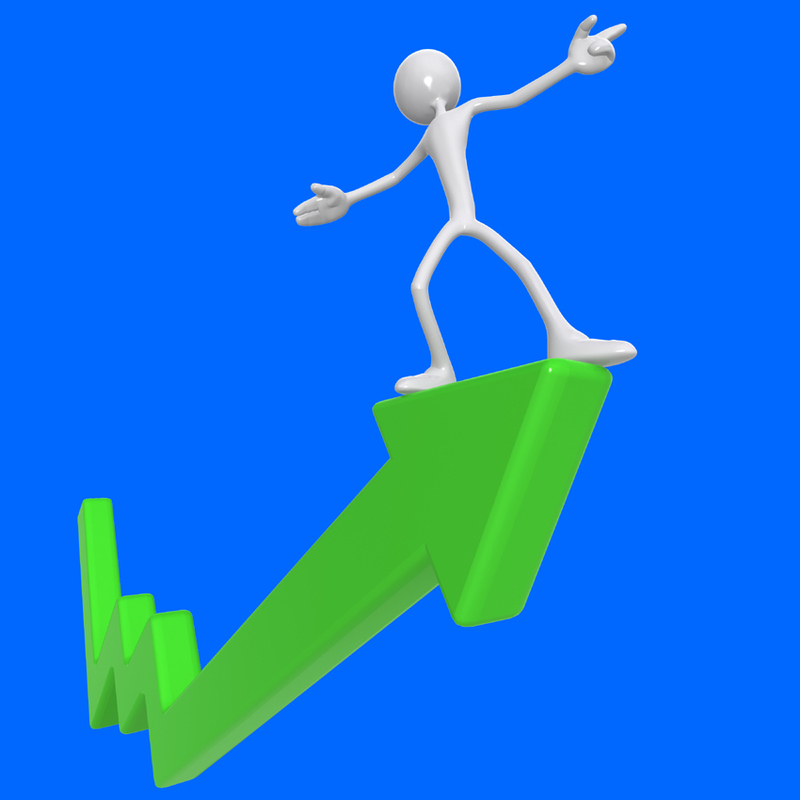 Most experts would agree that every investor should set themselves goals for both the long and short term. You can have a plan for the future, but how do you know if you're meeting targets? Well, being able to meet your shorter-term expectations will help guide you. Investment is perhaps the one avenue of money management that plays to your strengths and weaknesses. Your character traits will play a significant part in your investment opportunities. The truth is that all investments come with some degree of risk, but some are much greater than others. Your personality will determine how far you're willing to stretch. When it comes to investing, it's important to stay true to yourself. Stick to what you know and you won't find yourself in over your head. Take a look at some of the most lucrative alternative investment ideas at http://alternativeinvestmentcoach.com/best-alternative-investments/. You may find that you already have an interest in some of those areas, so you can use your knowledge to your advantage. Following these steps will help you get to grips with portfolio management. The rest comes from experience. Good luck! The wind farms of Palm Springs, built in the 1980s, stand 65 feet high and have 15-foot blades that rotate between 600 and 700 times per minute. ... And there are about 2,700 of them in San Gorgonio Wind Park — the oldest wind farm in the United States. These were so cool to see! We really enjoyed our trip to the Palm Springs Art Museum on Tuesday. Gerry and I have never been to an art museum and really thought it was a cool place. Gerry thought it was going to be all paintings and such but we were both in for a surprise. It was mix of a variety of art works and exhibits. We'd highly recommend this as a place to visit. Took a few days and got out of Quartzsite for a bit. Left Monday and came back today. One stop we made was in Cabazon, Ca. Wanted to go to the Eddie Baurer outlet store there but also stopped to see the Cabazon Dinosaurs, also referred to as Claude Bell's Dinosaurs. These are enormous, sculptured roadside attractions. Lots of families stopping there and lots of kids! Stopped for a few pictures and on our way again. 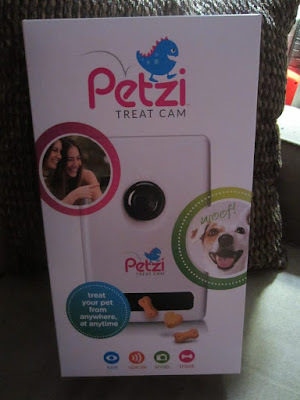 Thank you Petzi Treat Cam for the opportunity to review this great product! I've had my eyes on pet cams for a while now, so I was pretty excited when I found out I'd have the opportunity to review the Petzi Treat Cam! The unit itself is very easy to set up. It has a lot of mounting options so you can place it basically anywhere. It has a sleek, durable design that is safe for pets and an intuitive interface. 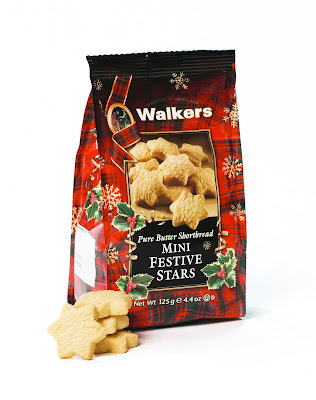 The universal treat dispensing system allows you to use a variety of different hard treats, smaller than 1". I can see, speak, snap and treat our pets while we are away from home, all at the touch of my fingertips using the innovative Petzi app on my smartphone or tablet and from anywhere in the world! The unit features a wide angle camera with night vision as well as high quality audio. Overall, I was very impressed with the Petzi Treat Cam. It was neat to be able to see our pets at home while I was at work. I was also able to talk to our pets and dispense some treats for our dog! I'd definitely recommend the Petzi Treat Cam if you're looking for a pet cam that's good quality and affordable. Petzi Treat Cam (suggested retail @ $169.99) would love to give one of these away to one of our lucky readers too! You can be from the USA or Canada. And a random draw will be made by Random.org on Jan 11, 2016 from all entries received. Leave your contact info and tell us why you want to win this great prize. We'll be heading to Palm Springs next week and one stop we'll be making is the Palm Springs Art Museum. The Palm Springs Art Museum is located in the downtown area, of Palm Springs. It features unique exhibitions along with sophisticated art, donated or loaned by the areas prosperous residents. 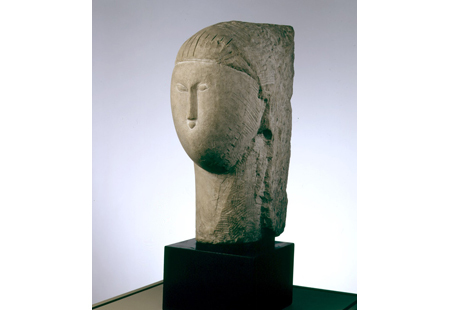 The museum's works of art include, Chagall, Picasso, and Andy Warhol among many. Palm Springs Art Museum, hosts over 150,000 square feet and has major collections, in areas such as modern & contemporary. They also have glass art, photography, architecture and design, Native American and Western Art. There is also a beautiful sculpture garden, a cafe with delicious cuisine, and a gift store that offers one of a kind gifts and art related merchandise. The museum is open most days, except Mondays and major holidays. And is also has free admission on Thursdays 4-8 pm, and the second Sunday of the month. Along with the exhibitions at the Palm Springs Art Museum, they also have, educational programs, and performing arts productions. 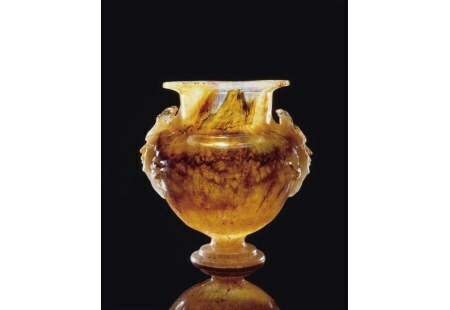 I've seen some of the amazing pieces of cool art on the web and looking forward to seeing it up close and personal! 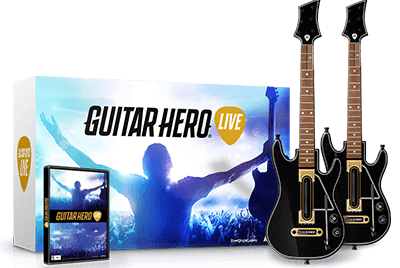 Guitar Hero Live, the pop culture phenomenon that introduced a new way to interact with music, is back with an all-new game featuring breakthrough innovations that will re-ignite your dreams of becoming a rock star. Guitar Hero Live introduces two powerful ways to play, including a first-person point of view where you are up on stage as the star of a live concert. The game will also include GHTV, a 24-hour playable music video network that will let fans play along to a continually-updated collection of official music videos and let players compete with their friends as well as players from across the globe to battle for the highest score on any given song. Guitar Hero Live comes with a new guitar controller. 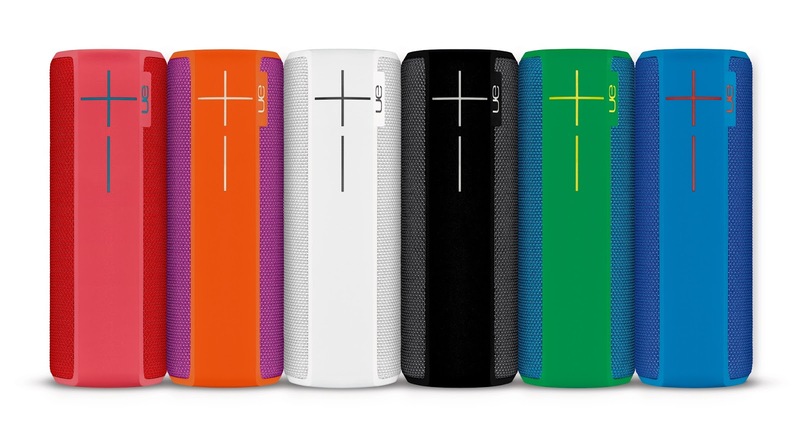 Designed to get wet, muddy and beat up, UE BOOM 2 is the Bluetooth® speaker that blasts insanely great sound in every direction – everywhere you go. Using the same high-quality materials you have come to expect from Ultimate Ears, UE BOOM 2 is waterproof (IPX 7), drop-proof (from up to five feet high), disruptive and bold, plus a whole lot of fun. This festive season, introduce them to a world of Body Butters with The Body Shop's Best of Body Butter Festive Dome Gift Set! 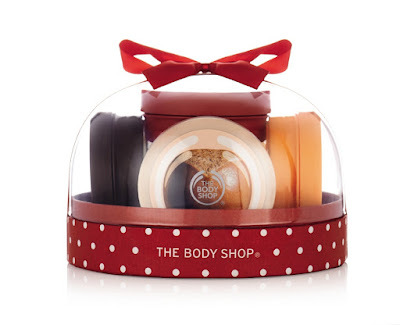 With fruity, floral and nutty flavors, this fun snow-globe-shaped gift is the perfect way to discover our iconic best-seller. With Community Fair Trade shea butter from Ghana, holiday presents don't get much more indulgent! Discover Remington’s latest hair care breakthrough—the T|Studio™ PROtect™ Flat Iron. 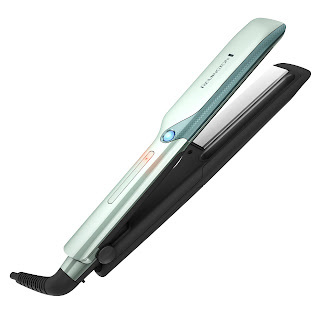 It combines 1” Ultra Ceramic plates with the revolutionary Vapor Infusion Technology to provide 90% more frizz control and 68% more protection from breakage compared to standard Remington straighteners without PROtect technology. The PROtect uses water and an included macadamia conditioning treatment to supply cool micro vapor that absorbs into hair, protecting it from damage while you style. Plus, the 450° heat will give your teen salon-quality results that last. This holiday season, give the gift of Love and Kisses! from New York’s premier children’s fashion label Made With Love and Kisses. On the prowl for the perfect gift this holiday season? Look no further. 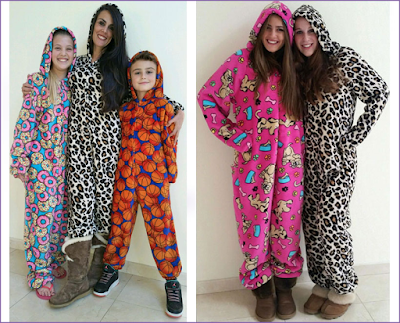 Available in a wide range of adorable, playful prints and flexible sizes, Love and Kisses’ cuddly jumpsuits capture the spirit of trendy fashionistas, sporty types, emoji-enthusiasts, and animal lovers alike. Completed with casual Converse sneakers or a favorite pair of Uggs, your kids, tweens, and teens will be the hit of the school hallways as they show their besties how comfy chic is done! ** Watch this spot for more great gift ideas! Not sure WHERE the days go but we are seriously seeing all the days just fly by. Went into Scottsdale/Phoenix the other day. Had one overnight. Left the RV here in Quartzsite and stayed at La Quinta Inns and Suites in Scottsdale. The cities are sooo busy with traffic too. Some parts were 5 lanes across that we wouldn't have wanted to take the RV. You really have to be on the ball when driving! Camping is outside the city so would have been more inconvenient than not. I went for an appt. for some sclerotherapy for my legs. Found out as well that from my previous ultra sound with the vein doctor, that one one my legs is worst for blood flow than the other and I am at risk for deep vein thrombosis and clots. It's also the reason why I am having foot cramping at night at times and the reason why my skin is drying out. Basically I really need to get something done. The sclerotherapy helps with some spider veins but doesn't fix the bigger problems. We did get a bit of shopping done but never as much as I'd like. As it takes so long to go from A to B in the city! Did get the rest of the blinds for the RV, so that was good- just waiting on Gerry to get them up. We were able to sell all the day/night shades and valences to a store taking used stuff like that here in town- and got $40 for everything. We were just going to take it all to the dump so worked for us. The new blinds are a nice change from the old shades and valances. We are getting the windshield in for the RV on Monday so will have to head into Parker and take Jakey to the sitters, go to Walmart and do some holiday shopping for each other perhaps, and head back. Suppose to be at least 3-4 hours for the windshield. 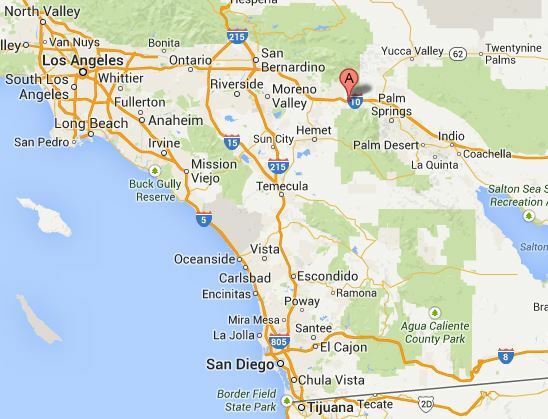 And once the holidays/ Christmas is done we're planning a trip to see Palm Springs, Joshua Tree and Salton Sea. So goes the plan- so will see what happens. Found out today that I may have been wasting money with my internet. On a call today with the folks at Verizon I was told that even when I am disconnected my device needs to be shut right off. Well, it hasn't been! I could have cried. No wonder I have been going through data like crazy. She was good enough though to give me a $20 credit on my account and also credited me 1 GB back to my account. It's actually kind of like having your tv plugged in all the time. It still uses power, even though it's not technically on as it provides an instant one when your ready to use it. So now have to keep tabs on it. Frustrating though. Anyhow, off to have some grub- turned out to be a nice day today. 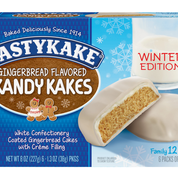 We had 18 degrees C.
Inticing Gingerbread flavors also overtake Tastykake's new Gingerbread Mini Donuts. 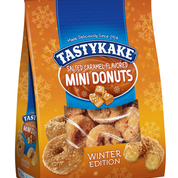 Tastykake's Gingerbread Mini Donuts feature a gingerbread flavor cake with cinnamon sugar coating. The Gingerbread Mini Donuts are available in 10 oz. 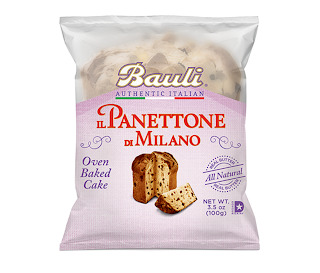 bags with an estimated retail price of $2.99. 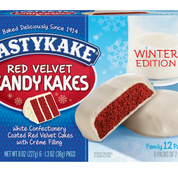 Tastykake's Salted Caramel Mini Donuts and Red Velvet Mini Donuts are making a comeback this season. The Salted Caramel Mini Donuts feature a traditional cake donut covered in a caramel and salt flavored crumble. 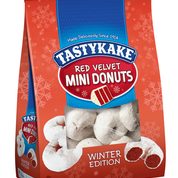 Tastykake's Red Velvet Mini Donuts transform delicious red velvet cake flavors into a classic mini donut size, featuring a red velvet flavored donut with traditional powdered sugar coating. The Salted Caramel Mini Donuts are available in 10 oz. bags and the Red Velvet Mini Donuts are available in 11.5 oz. bags with an estimated retail price of $2.99. Both the Salted Caramel and Red Velvet Mini Donuts are also available in 6 count single serve packages and have an estimated retail price of $1.79. 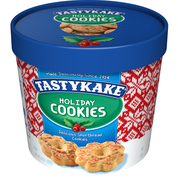 Finally, Tastykake's Holiday Tub Cookies are back to sweeten up the holiday season. 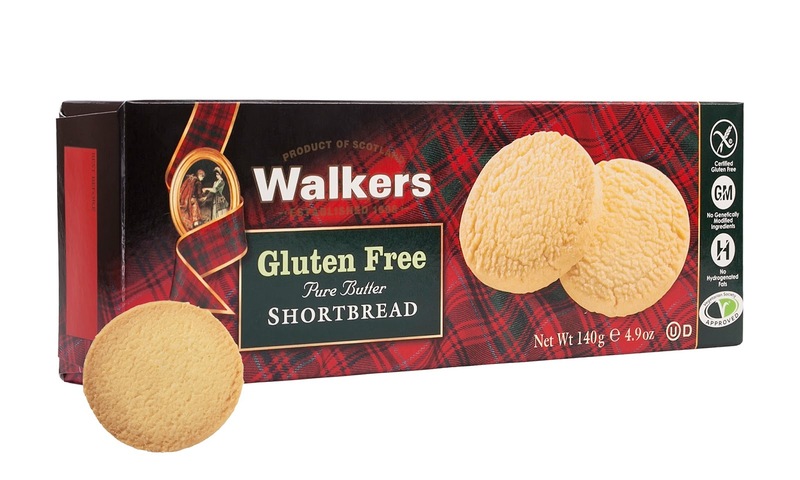 Each tub features a holiday sweater design filled with delicious shortbread cookies and have a retail price of $4.99. Inspired by Happiness was created by the Original Cakerie to give desserts back to those suffering from Celiac disease and gluten sensitivity and their families, of which a staggering one in 133 Americans suffer from Celiac disease and another 18 million have gluten sensitivity. The three cakes that Inspired by Happiness features are their Dreamin’ of Chocolate Dark & White Chocolate Layer Cake, Dreamin’ of Strawberries White Chocolate Shortcake and the recently launched Cravin’ for Cookies & Cream Layered Cake. 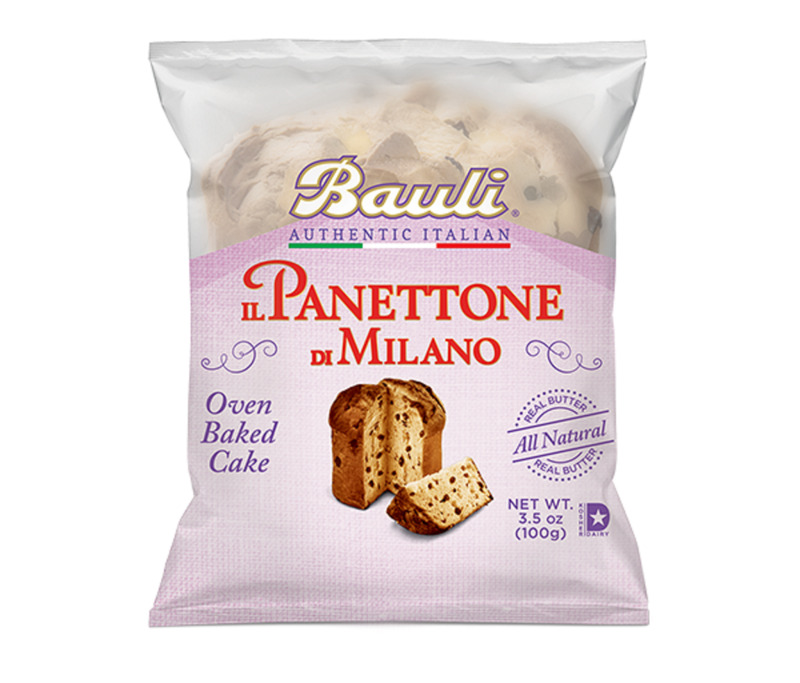 Inspired by Happiness sets a standard for gluten-free living, giving dessert the decadence it deserves, while being accompanied by irresistible flavors, a homemade taste and amazing, moist textures. 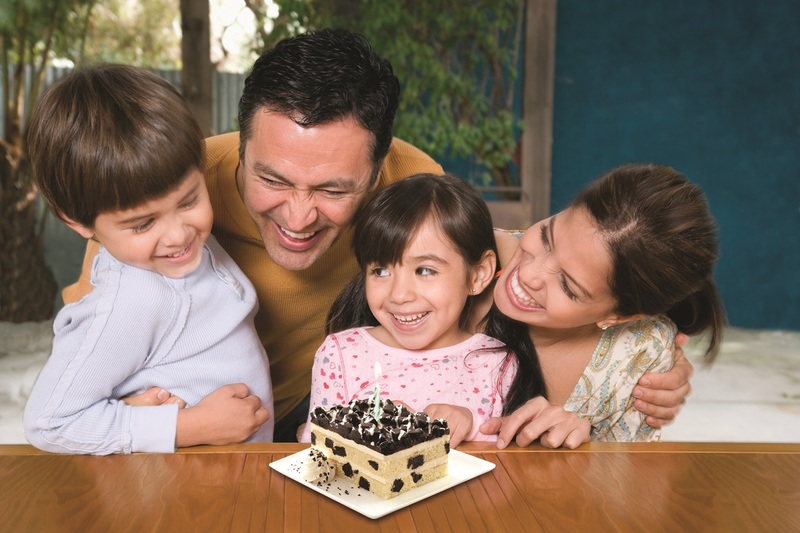 Perfect for the holidays and entertaining, Inspired by Happiness allows family and friends to enjoy dessert together, regardless of dietary restrictions. 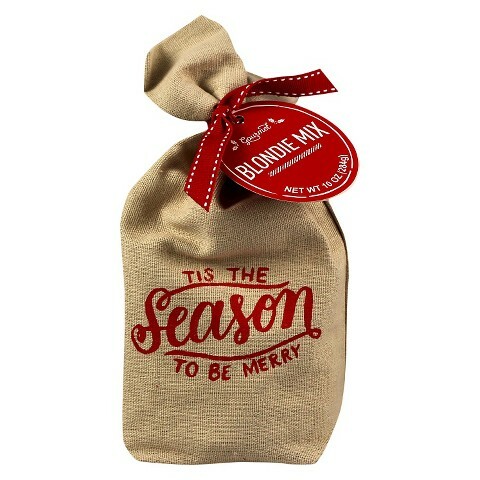 Fairytale Brownies’ newest holiday packing option this year is the whimsical Warm Wishes design. Patterned to appeal to consumers, fiery orange and frosty blue forest critters – cute fox and owl – are dressed in comfy mittens, scarves and hats to send cheery thoughts and delicious treats to the gift recipient. 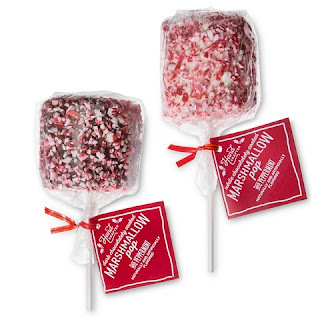 In this featured gift, the Warm Wishes Morsel Dozen ($23.95), two each of six enchanting flavors of bite-sized brownies (Magic Morsels) are individually wrapped and tucked inside a silver-lined, purple treasure box. 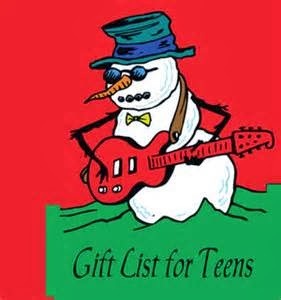 Mr. Owl in his knit cap greets the recipient with Warm Wishes on the gift band. 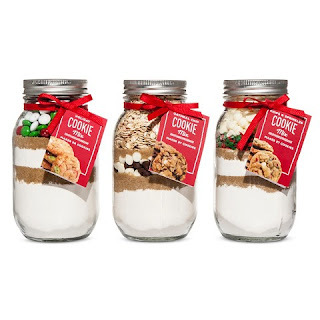 A sweet surprise for teachers, hostesses, and even those you might have missed on your list. Offering not only their traditional shortbread that is perfect for a great hostess gift, cookie decorating and even stocking stuffers; but their gluten free line is perfect for those with dietary restrictions around the holidays. Walkers promises the pure butter taste and texture you love, just without the gluten. The Rold Gold brand, one of the flagship brands from PepsiCo's Frito-Lay division, is here to help you steal the scene at all your parties this season with the return of limited-edition Rold Gold Holiday Dipped Pretzels. 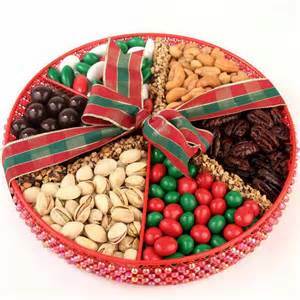 Whether you’re hosting your annual holiday bash or looking for the perfect way to thank your host or hostess, the fan-favorite snack is sure to be a crowd pleaser. 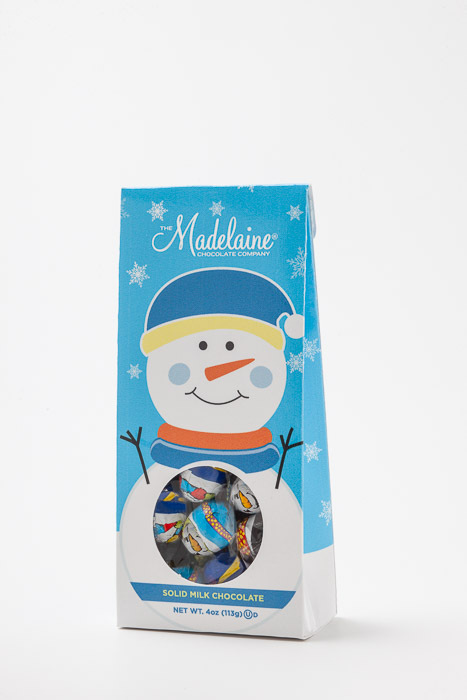 Available in select retail stores nationwide, Rold Gold Holiday Dipped Pretzels can be found in Classic Dipped Tiny Twists, Dark Dipped Bavarian Twists, Peppermint Dipped Snowflakes and White Dipped Honey Braided flavors in 7 and 7.5 oz. 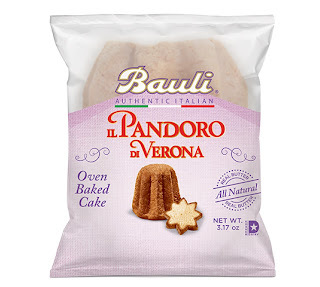 bags for a suggested retail price of $3.29. The Rold Gold brand has even dressed for the occasion with redesigned festive packaging, making it the perfect treat to bring along to all your holiday occasions. 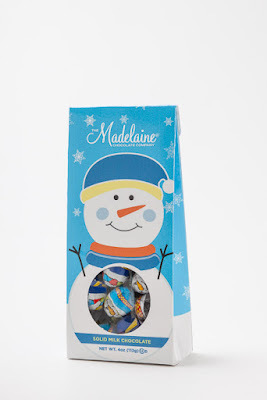 Celebrate the holidays with The Madelaine Chocolate Company. 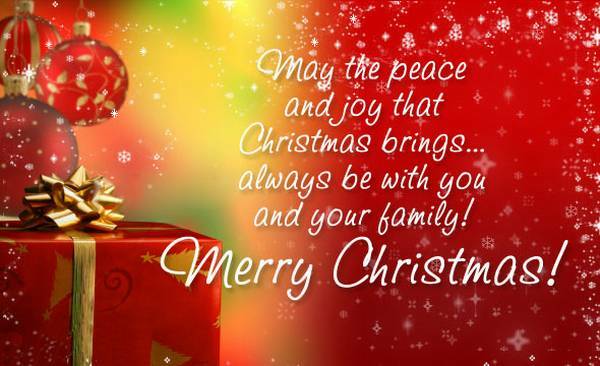 They have been a part of family’s traditions producing holiday chocolates for over 67 years. 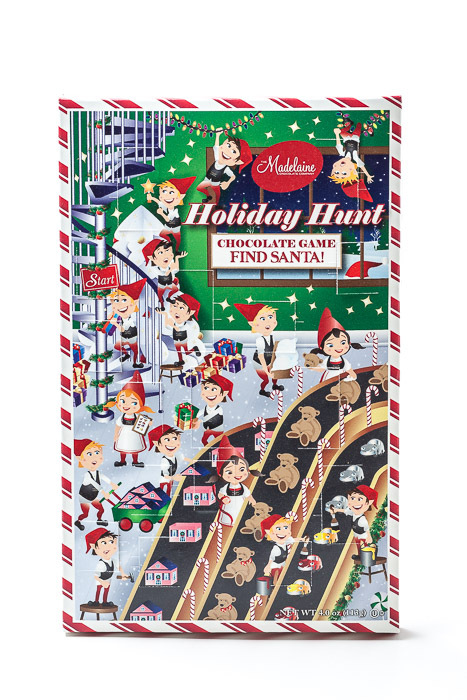 What better way to start a new tradition than with their brand new Holiday Hunt Chocolate game. 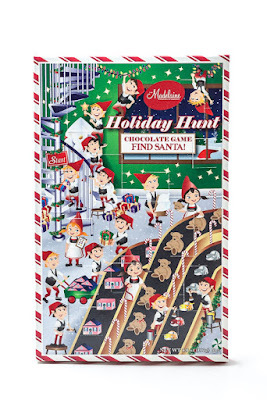 After the Advent Countdown is done, sit around our Chocolate Game and find Santa! Play the game under the tree Christmas morning while opening up presents – maybe even one of our new Holiday Gift Bags! **Watch this spot for more great ideas.